A small number of security lanes at London's Heathrow Airport are currently using new scanners which could one day lead to the removal of liquid restrictions, as well as keep passengers from having to remove items from their baggage before passing through security. The computed tomography (CT) scanners allow airport security staff to see a detailed, three-dimensional, X-ray image of objects inside people’s luggage from every angle. The new technology is being tested over the next six to 12 months. “We continue to look at new technologies that can both improve the passenger experience and strengthen our security,” a spokesperson for Heathrow said in a statement. The UK’s Department for Transport (DFT) said the technology can also detect hidden explosives. “If successful, this could lead in future to passengers no longer needing to remove items from hand luggage for screening,” the agency said in a statement. During the trial period, some passengers at Heathrow will not have to remove their laptops or liquids from their luggage. However, the DFT stressed that the "rules remain the same -- passengers should expect to remove items if requested during the screening purposes." If successful, the trial could possibly lead to the end of restrictions on how much liquid passengers can bring on board. 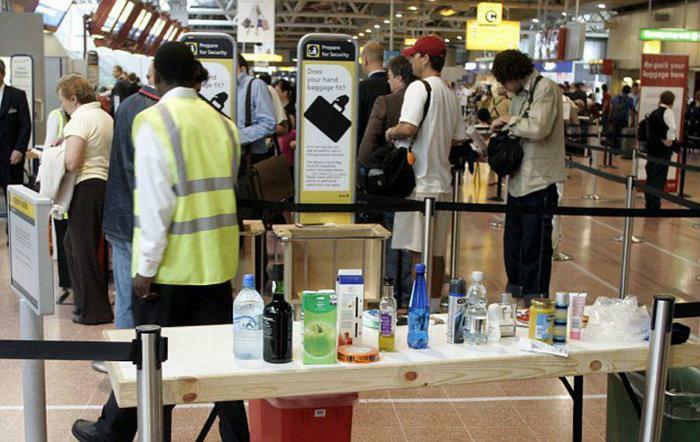 Passengers were banned from traveling with liquids in their carry-on baggage in August 2006 following the discovery of a ‘liquid bomb’ plot, in which terrorists traveling from the UK allegedly tried to blow up 10 airliners using explosive material hidden in soft drink bottles. Currently, passengers are allowed to take liquids in containers under 100 milliliters carried in a separate, transparent, resealable bag. The restrictions on liquid could be softened even further if the trials are determined to be a success and the technology is rolled out to more airports. “It is the beginning of the end of the liquid ban, and it’s long overdue,” said Philip Baum of Aviation Security International magazine. Similar scanners have also been tested at JFK Airport in New York and at Schiphol Airport in Amsterdam. Do you really understand your frequent-flier program?